A couple of weeks ago Pete and I took a few days off to drive to Taupo Lake going down the west arm to Tukaano the first night. 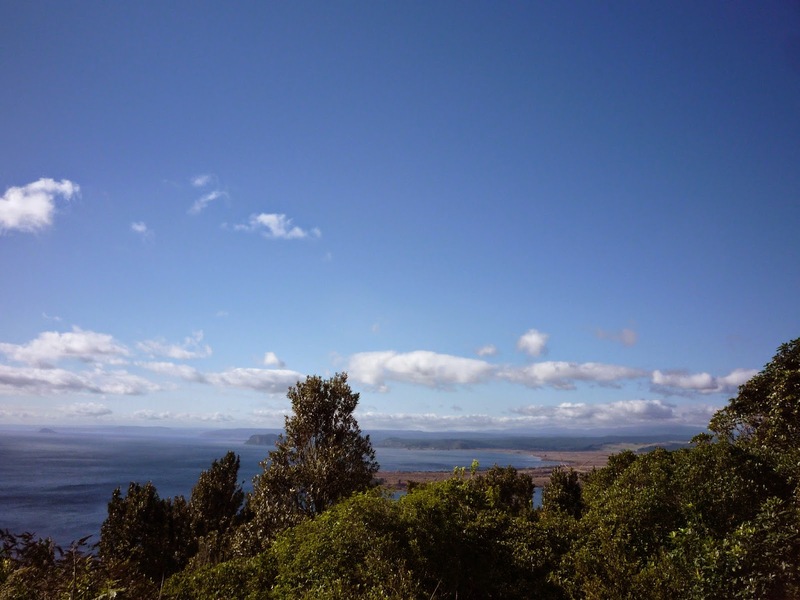 Lake Taupo from the south end. As we left Tokaanu to head to Taupo we decided to see what the Pillars of Hercules to the south of the lake were. I was reading the map and just as Pete finished passing a truck trailor unit I said turn left. We missed that turn and decided it would be too embarrassing to pull over directly in front of the truck so we kept driving, by now a good way up Desert Road. 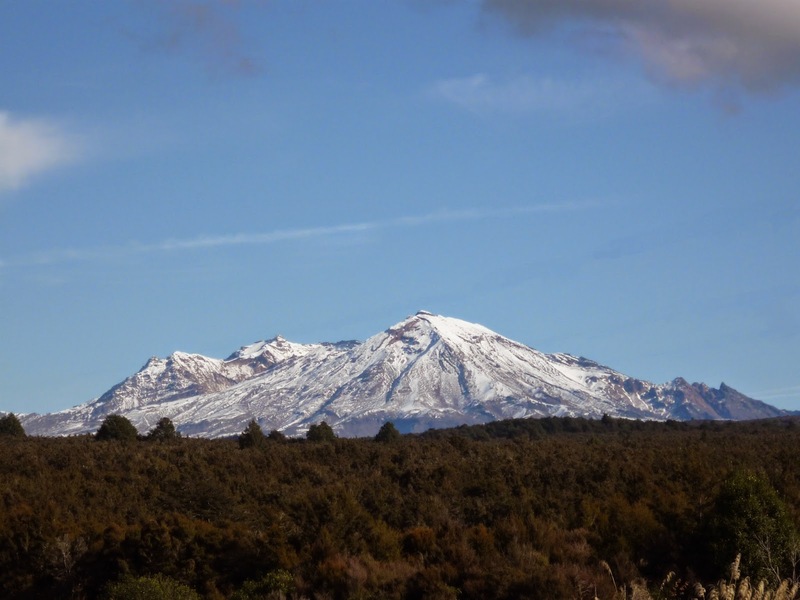 Our excuse to stop was me jumping out of the car with camera when we saw Ruapehu. With face saved we could U-turn and head back to Pillars of Hercules. Turns out one had to stand in the middle of a longish swing bridge and look down into a ravine to see the Pillars, neither thing of which I do so told Pete to take a photo. 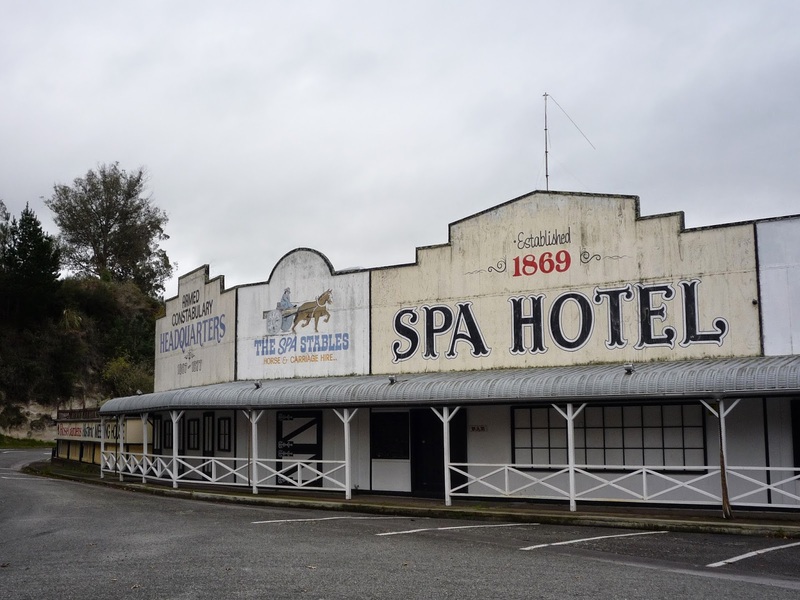 While exploring Taupo we checked out the SPA Hotel. 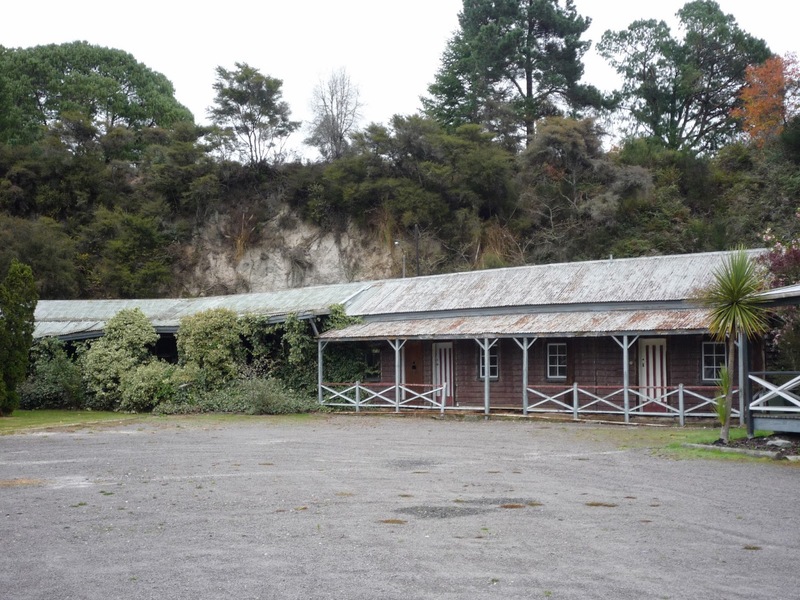 What a sad sorry state of repair this wonderful piece of NZ history is in. "The hotel, one of the country's oldest, was established in 1869 by Edward Lofley. 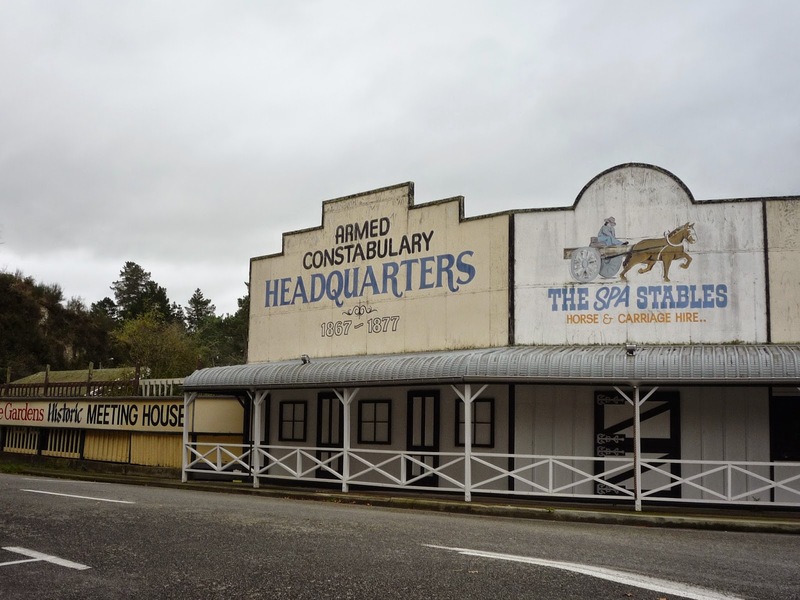 He was a quartermaster in the armed constabulary which was involved in the hunt for guerrilla leader Te Kooti, whose repeated raids from the Ureweras were a constant threat to European settlement. Lofley set up a depot for the troops where the hotel now stands - it had a constant supply of hot water for cooking and bathing and a place to corral their horses. It was the start of what later became Lake Taupo Hot Baths and Sanatorium. 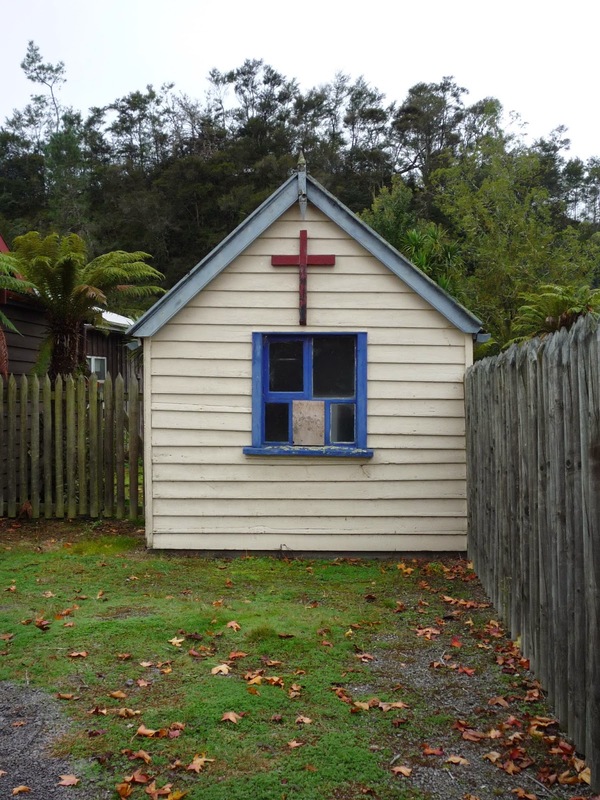 The 7.5-hectare property features a number of heritage buildings including a chapel dating back to the mid-1860s and cottages built in the late 19th century and early 20th." I understand British soldiers wounded in the Maori wars were sent here to recuperate. Each unit used to have a soldier's name plaque on it but they have all gone. It was obvious some work had been happening around the buildings some time ago but cans of paint and drop cloths just left where they had been used.